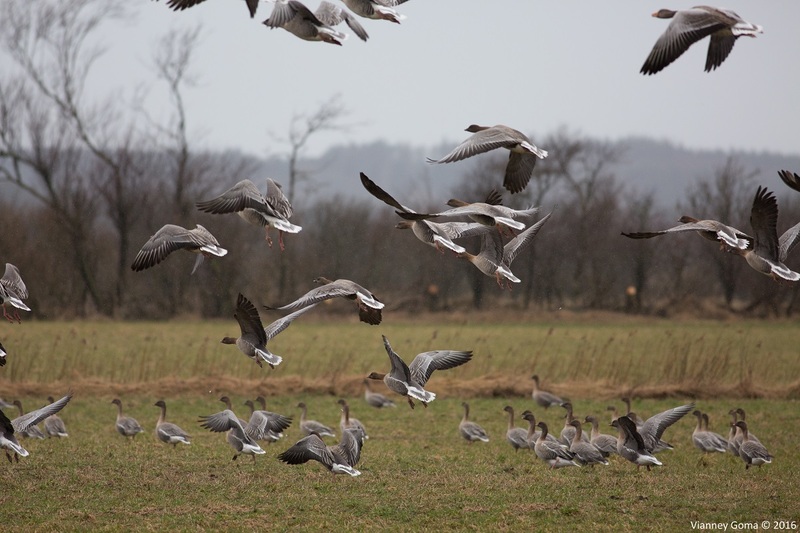 The Danish hunting season for pink-footed geese has been extended until the end of January. The Danish Agency for Water and Nature Management has announced that the hunting season for pink-footed goose will now be from 1 September to 31 January, extending the season by one month (previously closed on 31 December). The change was proposed by the Danish Wildlife management Council and decreed by The Danish Environment and Food Minister. The decision to extend the season was based on the latest population size estimate and predictions, assessments of hunting and recommended harvest quotas, provided by the Pink-Footed Goose International Working group, in order to achieve the agreed 60,000 population target. The Population Status and Adaptive Harvest Management reports are available on this website . The announcement (in Danish) by the Danish Agency for Water and Nature Management is available here .